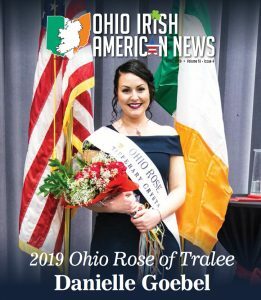 OhioIANews: Where are you from in Ireland? 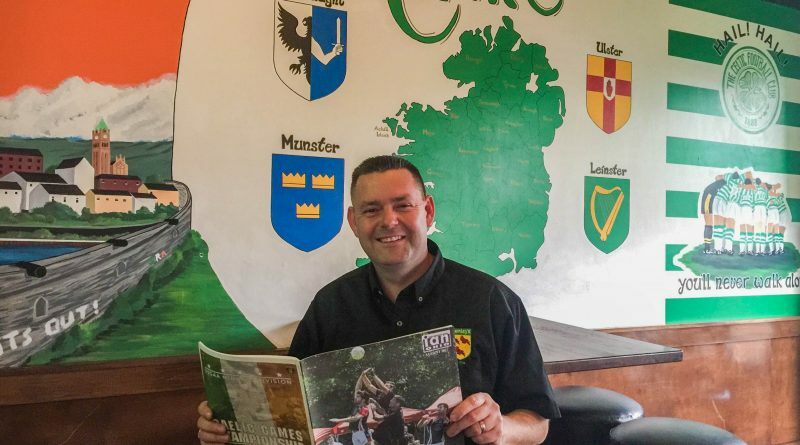 Sean: I grew up in Derry City in the northwest, on the border of Donegal. I grew up in the mid-seventies and eighties in the heart of The Troubles. I saw a lot of everything that was going on, but it was just day to day life, almost normal. 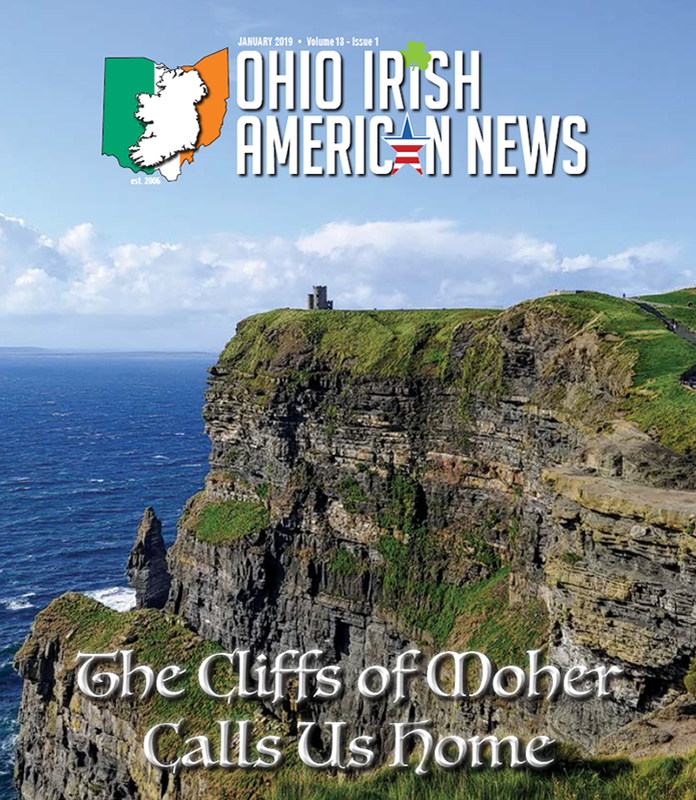 OhioIANews: Is that why you decided to come here to America? Sean: It was one of the reasons, I came over in 1985 with Project Children when I was twelve. It was a program to get kids out of the north in the summer months. When I first came over it opened my eyes, that there was another way to live. I knew then that I wanted to come here, and everything I did was working to eventually getting over here. 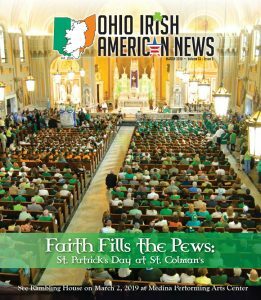 OhioIANews: Did you come to Cleveland at that time? 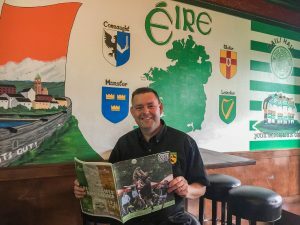 Sean: No, I went to Almira in upstate New York with Project Children for five summers, and when I immigrated when I was nineteen, in May of 1992, I went there because I knew people there. Then I found out I had a second cousin here in Cleveland and moved here in the summer of 1995. I met my wife here in 1999, and by that time I’d already gotten my citizenship and everything. 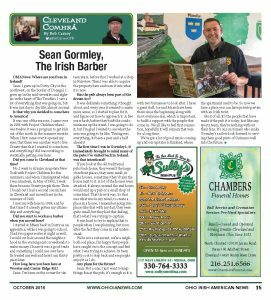 OhioIANews: Did you start to work as a barber when you moved here? Sean: I started at fifteen back in Derry as an apprentice, while I was going to school. I had two paper routes at night as well, I would cut hair around the neighborhood in the evening and on weekends to make money. I knew it was a good trade and something I could use over here. Its treated me well and here I am thirty years later. 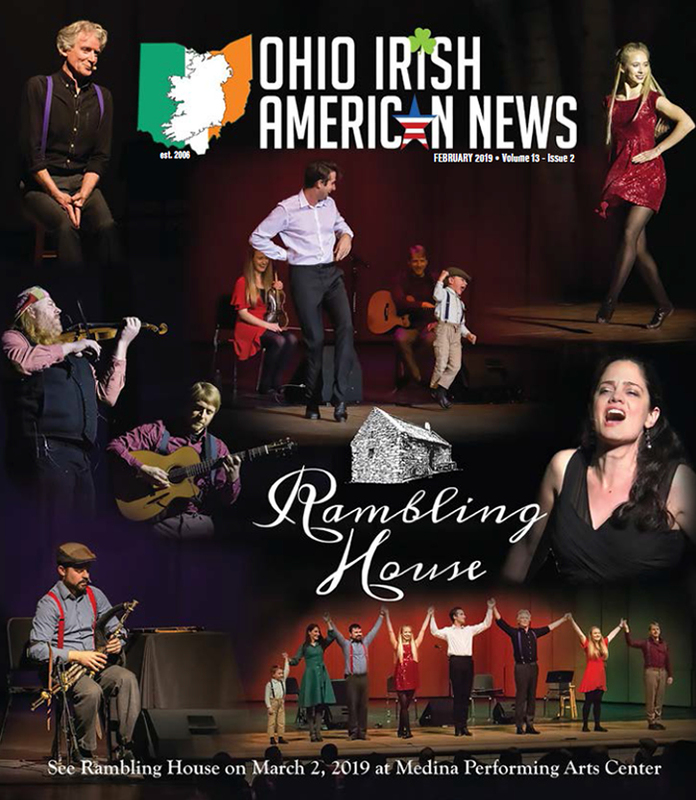 OhioIANews: How long have you been here at Wooster and Center Ridge Rd.? Sean: I’ve been on the corner for sixteen years, before that I worked at a shop in Fairview. Then I was able to acquire the property here and turn it into what it is now. OhioIANews: Has the pub always been part of the dream too? Sean: It was definitely something I thought about, and every year it seemed to make more sense, so I started to plan for it, and figure out how to approach it. A few years back, before they built the condominiums up the street, I was going to do it, but I’m glad I waited to see what the area was going to be like. Timing was everything, its been a year and a half already! OhioIANews: The first time I was in Gormley’s, it immediately brought to mind many of the pubs I’ve visited back in Ireland, was that intentional? Sean: If you look at the old traditional pubs back home, they weren’t the large storefront places, they were small, in gable houses, sometimes they’d take the house next to it. A lot of the houses were attached, it always seemed the end house would end up a pub or a small shop of some kind. That’s how it was. So that was what was in my mind, to create a place in a house, I remember going into places like that with my dad, they were quite small, but they had that feeling, that’s what I was trying to capture. It was hard to try to explain that to people when I was planning, but now, after the fact they come in and understand. We’re not a restaurant, we’re a neighborhood place, I’m happy that people have caught on to the concept and feel what I was trying to achieve. Its been pretty cool to step back and see people enjoy it as I do. 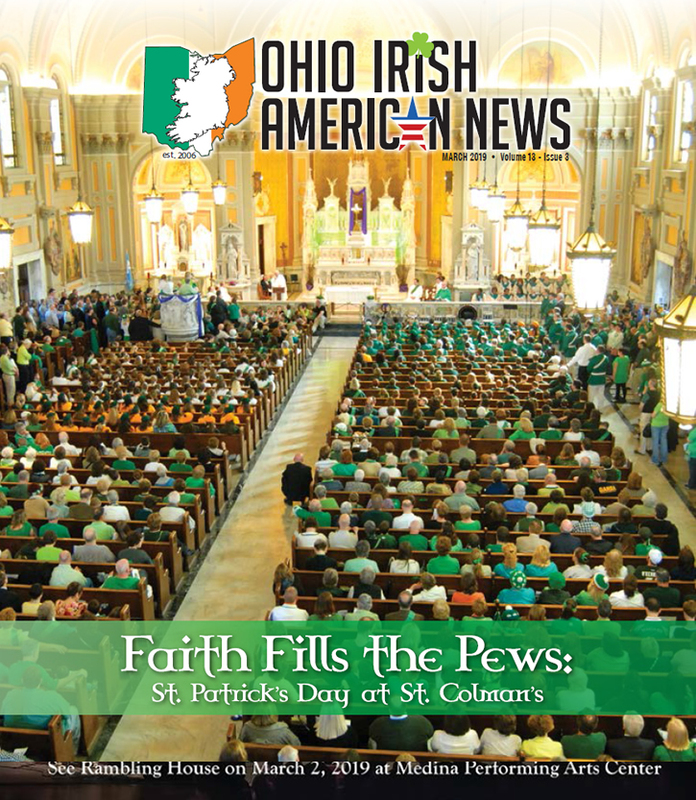 OhioIANews: Any plans for the future? 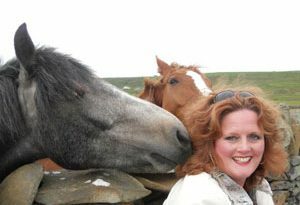 Sean: Not a one; I just want to keep things fun at the pub, it’s enough as it is with two businesses to look after. I have a great staff, Joe and Marie have been there since the beginning along with most everyone else, which is important, to build a rapport with the people that come in. We all like to feel that connection, hopefully it will remain that way for a long time. We’ve got a lot of good music coming up and our upstairs is finished, where the apartment used to be. 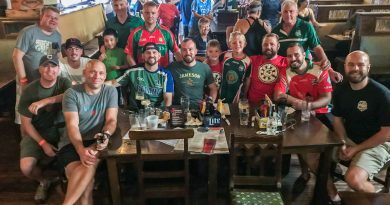 So now we have a place you can have private parties with an Irish twist. Most of all, it’s the people that have made it the pub it is today. Just like any sports team, they’re nothing without their fans. It’s our customers who make Gormley’s and we look forward to serving them good pints of Guinness well into the future.